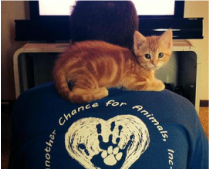 Join the ACA Team and help adopt out animals! No experience is required, but you must be 14 years old to handle animals at Petsmart. We are looking for volunteers to help at our parking lot and table. If you can help please click the signup button.